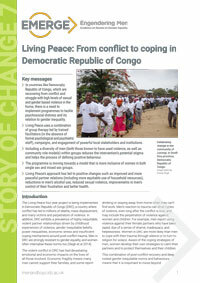 This story of change pulls out the main findings and recommendations from Living Peace: EMERGE Case Study, which focuses on the work of Living Peace in DRC. This initiative provides support through group therapy for men (and their partners) to reduce sexual and gender-based violence and promote equitable gender norms. Living Peace is reaching thousands of men and women, including military, police, health workers, and religious leaders, to prevent violence and create sustainable peace in North and South Kivu, Democratic Republic of the Congo (DRC). Watch the full film, Living Peace: The Story of Abby and Kyalu, here. Abby and Kyalu were abducted by rebels in eastern Democratic Republic of Congo (DRC) in 2008. Abby was forced into hard labor and Kyalu, his wife, was raped, and had a child as a result. Once they returned home, Abby expelled Kyalu. This film presents their recovery as part of Promundo’s Living Peace initiative. 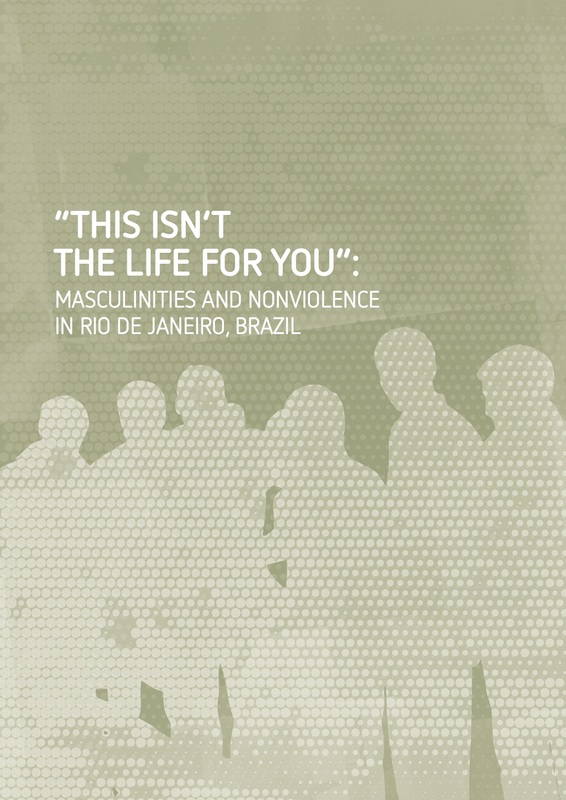 This manual provides the resources and tools for organizations and practitioners in post-conflict settings to sustainably engage men in gender-based violence prevention through Living Peace groups. The methodology is based on best practices with male social group-therapy programs and gender-transformative group educational programs developed by Promundo. 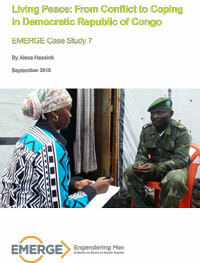 This report presents results from IMAGES conducted in the Mutobo Demobilization and Reintegration Center in Rwanda by Promundo and partners during October 2013 and January 2014. This report presents the complete results from the International Men and Gender Equality Survey (IMAGES) conducted by Promundo, Sonke Gender Justice, and Institut Supérieur du Lac in Goma, North Kivu, Democratic Republic of the Congo (DRC).